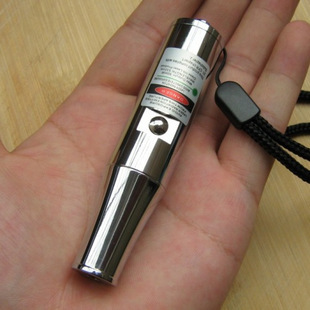 This laser pointer is really awesome! It takes CR2 batteries, which is a bit of an inconvenience, because they are so expensive, but it is worth it. at nighttime, you can see the beam for miles. It is a bit dim in daylight compared to other lasers, however, it is not too noticeable. bottom line: I would DEFINITELY recommend buying this laser.